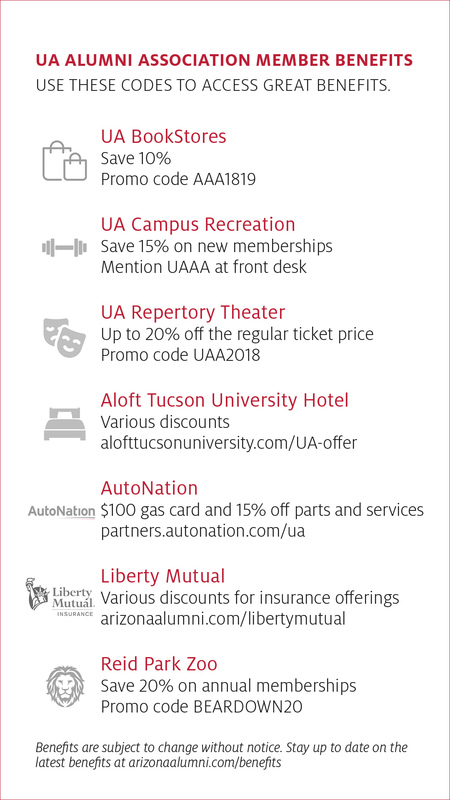 The UA Alumni Association (UAAA) helps you SAVE MONEY and EARN REWARDS through our Preferred Partners! The UAAA has negotiated special deals with the following companies to offer you amazing products. Whether you are starting your career, starting a family or planning for retirement we can help you. Show your Wildcat pride every day with a UAAA checking account* from Bank of America. Get a $150 cash rewards bonus after you make at least $500 in purchases in the first 90 days of account opening. 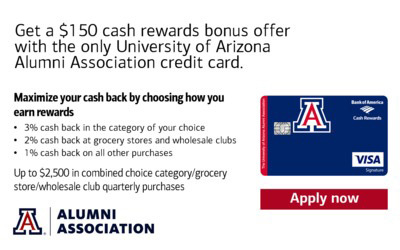 Earn cash back on your purchases and show your support for the University of Arizona Alumni Association with the UAAA Cash Rewards Visa Signature® credit card from Bank of America. For information about the rates, fees, other costs and benefits associated with the use of this card, click here and refer to the disclosures accompanying the online credit card application. This credit card program is issued and administered by Bank of America, N.A. Conservative savers have college saving options! Save with as little as $25 per month. The choice of three FDIC-insured (up to $250,000 for accounts held in the same right and capacity) stable CD options. The ability to use savings to pay for tuition, room, books and fees at any accredited higher education institution within the U.S. and abroad. Special gift and estate tax benefits. AFCSP does not charge any application, contribution or annual maintenance fees. See the disclosure statement for additional information. Start saving today! Jostens Inc. is the UA's vendor for the official class ring. Wear one of these specially designed rings — featuring Old Main, the block “A” and the UA school seal — to remember your college experience and continue to represent your alma mater. The block "A," which adorns the top of the ring. "Bear Down" encircles the top of the ring. Old Main is featured on one side of the ring. The University seal is presented on another side of the ring. The campus cactus garden is also featured with Old Main. The Wildcat mascot is located on the inside of ring. Students have the option to have their graduation year engraved on the ring. Tucson International Airport (TUS) serves more than 3.4 million airline passengers per year. Nine airlines offer nearly 60 departures per day to 22 nonstop destinations with one-stop connections to hundreds of airports around the world. Save $3,200 on average, receive a $100 gas card and 15% off parts and service. Auto Nation saves customers time, hassle and money. Search over 100,000 vehicles, choose payment options, fill out forms in advance, and schedule your test drive online. Service your vehicle with confidence with online appointment scheduling, upfront pricing, extended hours, free multi-point inspections, and a repair guarantee. Click here for more information and to shop now. 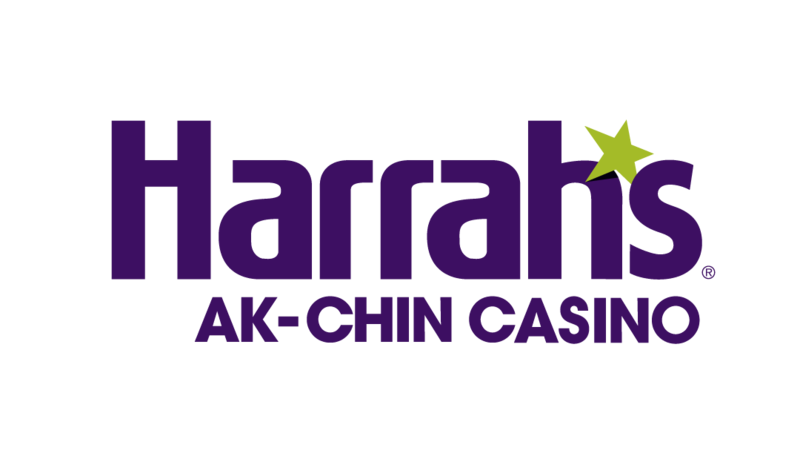 Harrah’s Ak-Chin Casino is a proud sponsor of the University of Arizona Alumni Association and the only Total Rewards® casino in Arizona, allowing guests to earn benefits that can be used at over 40 Caesars properties worldwide! 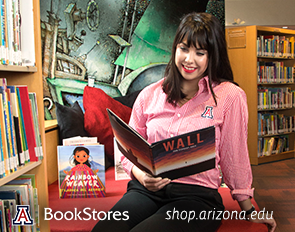 As a university-owned and -operated store, purchases at the UA BookStores create greater opportunities for past, present and future Wildcats through scholarships, employment, funding and more. That’s why UA alumni receive 10% off their favorite UA gear and apparel as well as special alumni pricing on Apple® products in support of the UA community. Aloft is THE campus connection hotel. When you stay at Aloft Tucson University, you're in perfect proximity to campus and a variety of fun things to do nearby. 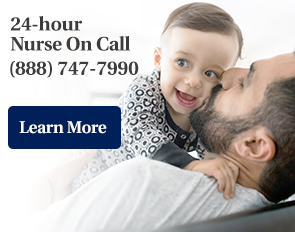 The Smile Generation connects you with trusted dentists in your area who are dedicated to comprehensive care with advanced, proven technology. Like CEREC CAD/CAM for beautiful, permanent crowns in a single visit. Visit smilegeneration.com or call 1-800-SMILE-GEN and ask about the $39 new patient special with a Smile Generation-trusted dentist today. Find the right fit for your schedule. Your budget. And your smile. Proud sponsors of the Wildcats! Banner – University Medical Center Tucson, nationally ranked as a Best Hospital by U.S. News and World Report, and Banner – University Medical Center South, are part of Banner – University Medicine, a premier academic medical network. These institutions are academic medical centers for the University of Arizona College of Medicine – Tucson. Included on the two campuses are Diamond Children's Medical Center and many specialty clinics. The two academic medical centers are part of Arizona-based Banner Health, one of the largest nonprofit health care systems in the country, with 28 hospitals in six states: Arizona, California, Colorado, Nebraska, Nevada and Wyoming. For more information, visit BannerHealth.com/UniversityTucson or bannerhealth.com/UniversitySouth. Heading to Tucson for Homecoming? Find plenty of top-rated Tucson homes on Airbnb. Discover entire homes and private rooms perfect for any trip. 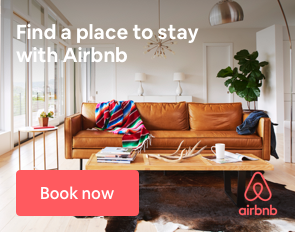 Visit airbnb.com.